So, a couple of months ago Super Sake Boy and I attended a Sake Master Class at Maedaya in Richmond, Melbourne. Maedaya is a sake bar and Izakaya style restaurant, where the food is really delicious and the sake selection is impressive. Maedaya is owned by Toshi Maeda, our teacher for the evening…. he is very knowledgeable about sake and also very friendly and lots of fun. We started the evening with sake, of course, and quite a lot of information about sake, from styles and varieties, to milling percentage and brewing process. Sake is brewed in winter in Japan, for a number of reasons. The sake brewers are rice farmers during the summer and autumn, and brewing sake gave them something to do in the winter. The cold air helps to naturally cool the sake during the heat creating fermentation process. The water tastes different in winter, and there is least chance of natural airborne yeast. The first sake we tried was 雨後の月 (ugo no tsuki- the moon after rain). This sake is from Hiroshima and is a 純米 吟醸酒 (Junmai ginjo). Junmai means pure rice sake, with no distilled alcohol added. Ginjo is premium sake, this particular one is milled 55%. This means 55% of the rice remains after milling, and this milling is how sake is classified. It affects the taste and characteristics of the sake. We tried this sake chilled and it was really delicious. It is made using Hattannishiki rice and soft Hiroshima water. The flavour was crisp and dry. We really enjoyed this one. 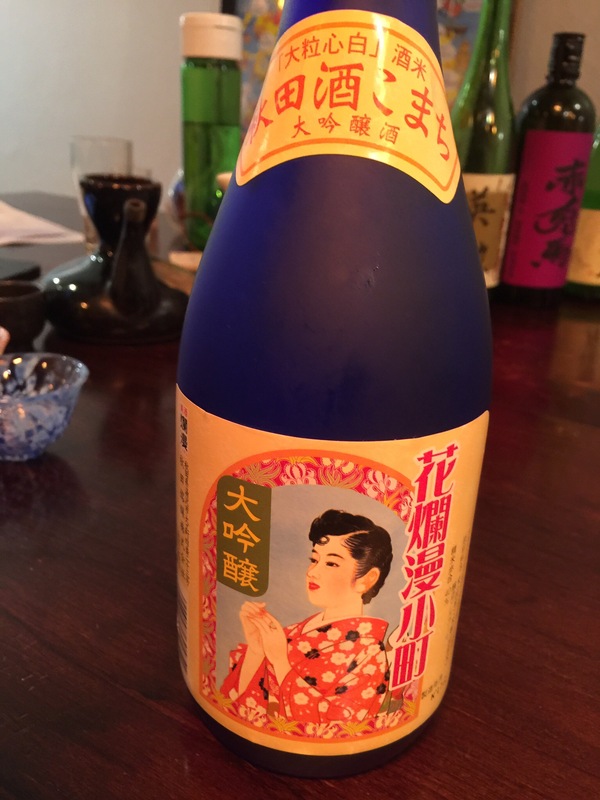 The second sake we tried was 花爛漫小町大吟醸酒 Hanaranman Komachi Daiginjo from Akita Province. Served chilled, this sake had a very rich, smooth flavour. 大吟醸酒 Daiginjo means super premium and this was very yummy. This sake was not a junmai, which means it has distilled alcohol added. Although this trend started in the war in order to stretch sake supply, it is no longer perceived to diminish the quality of the sake. 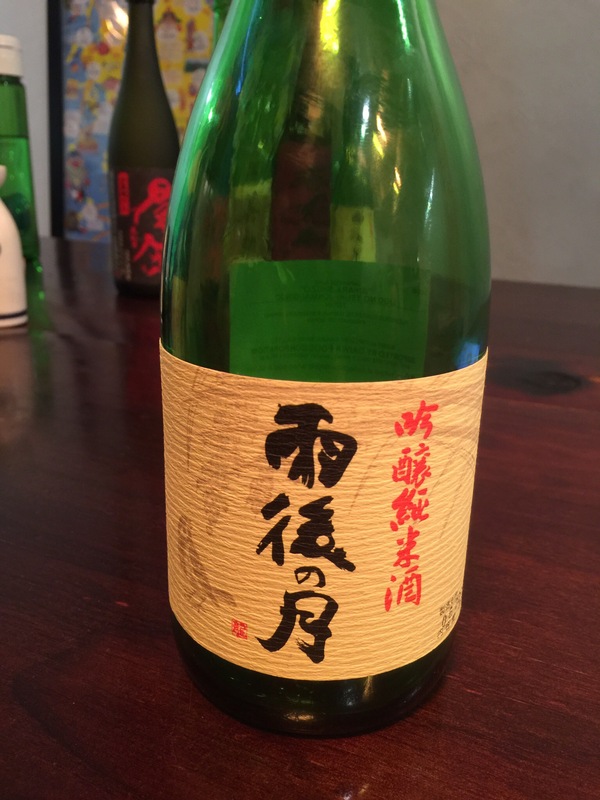 This sake is made with very specialised rice, Akita komachi, and is milled 40%. So 60% of the rice is milled away, and that is what makes this sake super premium. I must say, Super Sake Boy and I are definitely most partial to a 純米大吟醸 junmai daiginjo. (I have already confessed we are sake snobby). And yeah, shochu, I don’t get the appeal. Somehow, Japanese people seem to expect foreigners to like shochu and not nihonshu, and they’re really surprised when that’s not the case. Have you ever found that? That being said, if you find a really fancy/high quality shochu, it can be nearly as nice as nihonshu. But usually, nup.